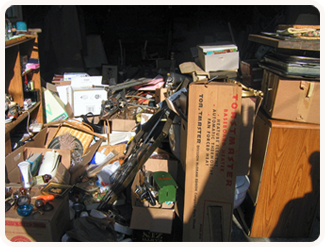 Prompt Removal Service was started in 1992 to provide an efficient means of disposing unwanted articles around the home. We are located in Agawam Massachusetts and offer prompt local service for complete house/property clean-outs and buy outs of estates. Our pricing is all inclusive with scrap metal removal, waste disposal and trash hauling all under one upfront low rate, without hidden charges. Have you inherited the responsibility of handling the liquidation of a property without a choice? We can help. It's our specialty. We will negotiate on the settling of complete estates. Owner personally handles all details of your project. We provide courteous and professional quality service. We handle any size job or project. All items are properly disposed of. Area is broom cleaned when finished. We are a local business with years of experience. Would you like it to look like this! 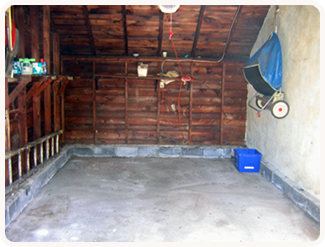 Give our local business a call today for a free, prompt estimate. * With a reasonable minimum charge.